In November, we learned a lot about food and where certain foods come from. 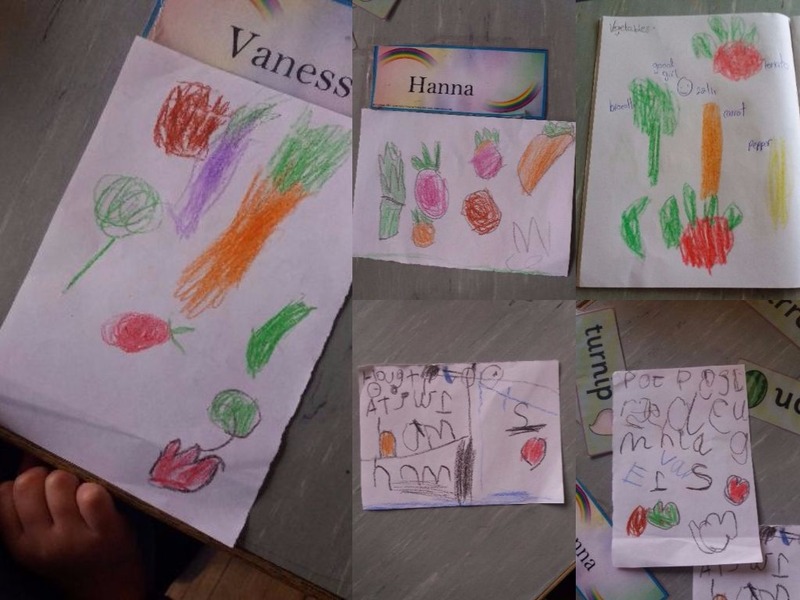 We now know that some fruits grow on trees and some vegetables grow in the ground-some vegetables are root and others are leafy. It is important to eat lots of fruit and vegetables to grow big and strong-we talked about foods that are good for us and not so good for us. Have a look at this journey through photographs.....we hope you enjoy!!! 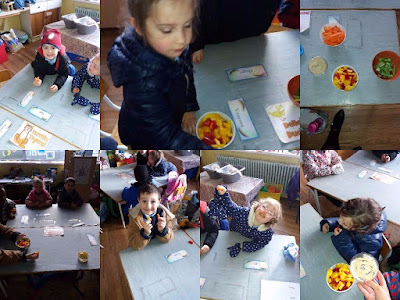 We tasted lots of different fruits......apple, banana, orange, strawberry, pineapple, mango, blueberries, raspberries and even melon. Our favourite were the strawberries. They taste delicious. The melon was yucky! 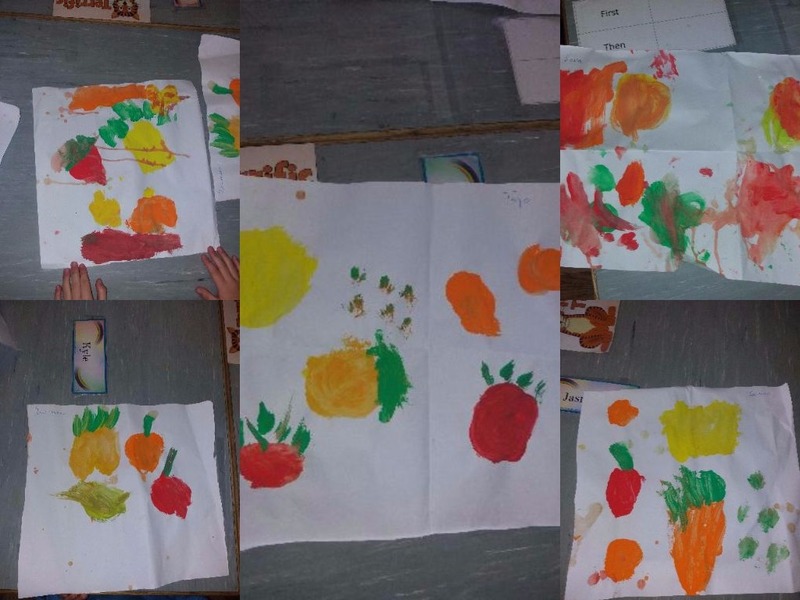 We painted fruits from observation-some fruits have skin we must peel and others must be washed before we eat them. Fruits have lots of different shapes and feels-some are smooth and others are rough like the pineapple. 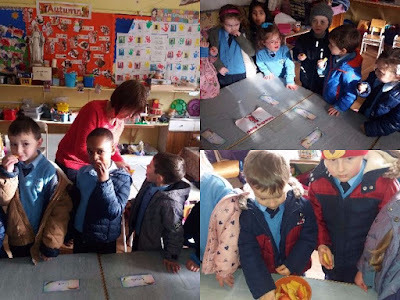 Ms. Walsh brought in lots of vegetables for us to look at and feel. We had never heard of some of these vegetables before such as the courgette, aubergine and sweet potato. 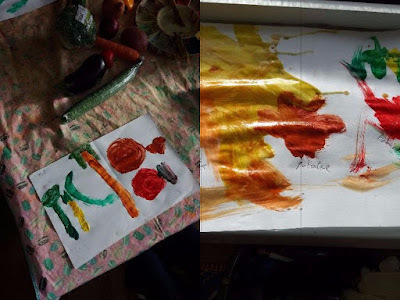 We eat vegetables every night for our dinner as they are important for helping us to grow. 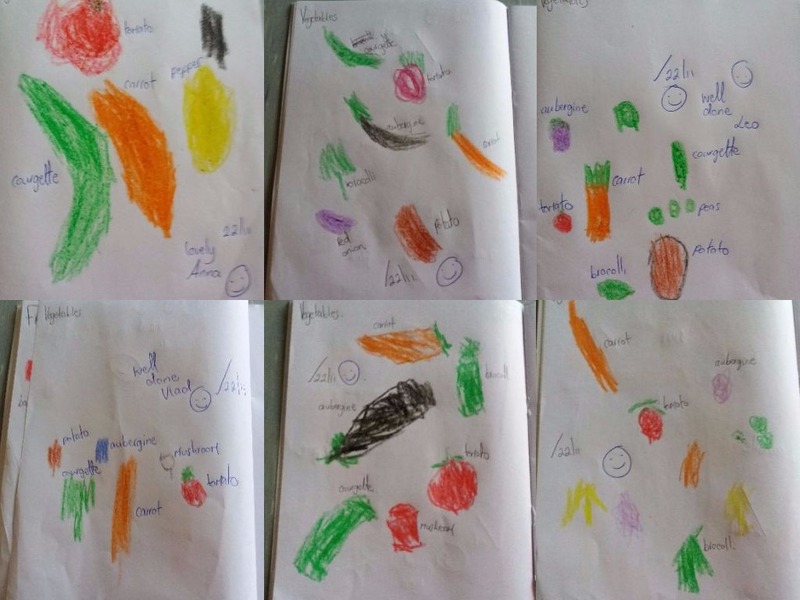 They are healthy foods. We drew as many vegetables as we could think of-like fruit, they have lots of different colours. 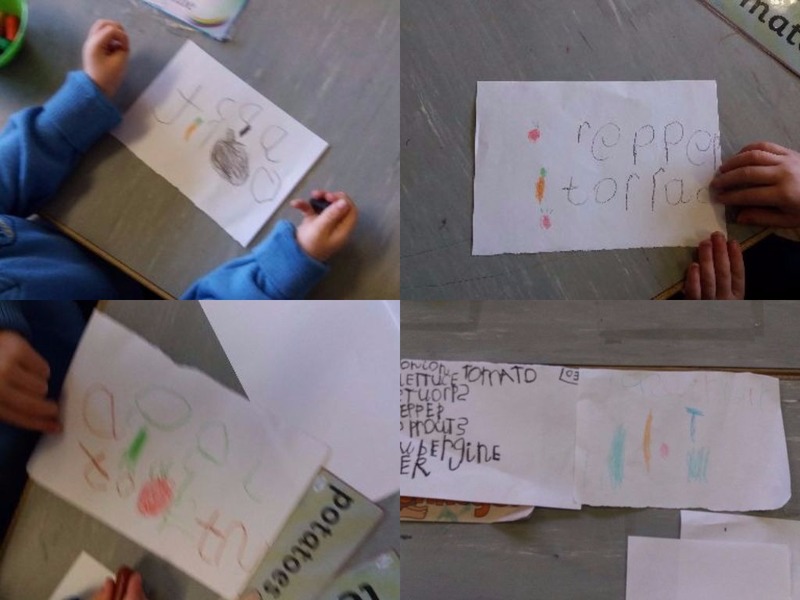 We are learning to write some of our letters but it is important that we have the correct pencil grip so we even practised drawing and writing some fruits and vegetables as a morning activity. 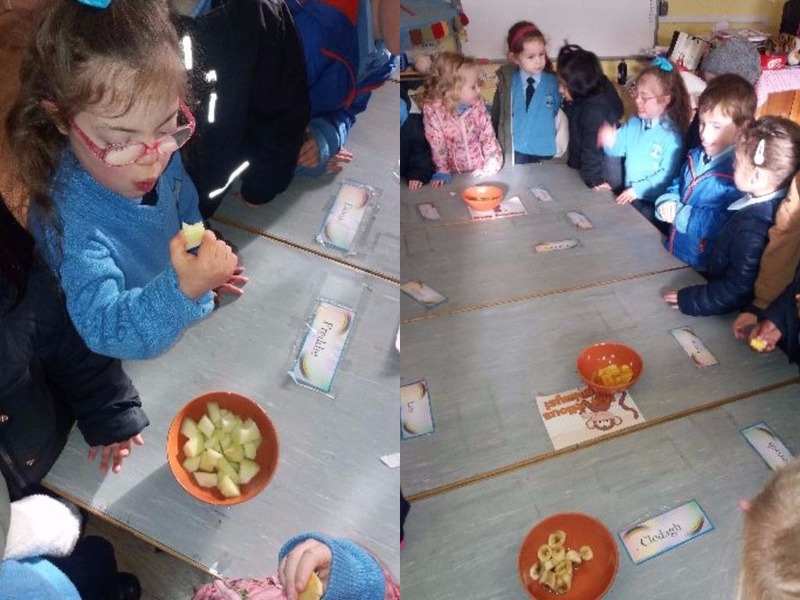 Children were given the opportunity to try out some healthy snacks...carrot sticks, celery and pepper. We dipped these into hummus which made it even tastier. We're not a fan of celery in Room One.